As I mentioned last week on Facebook, I found out a week or so ago I had two copies of two new releases. I was not sure what to do with them, until my younger sister suggested I do a giveaway. So a big thank you to my sister for that great idea. 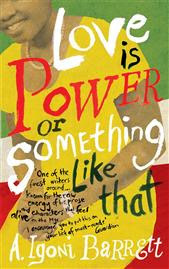 The books on offer are Love is Power or Something Like That by A Igoni Barrett and We Need New Names by NoViolet Bulawayo. My review on Love is Power can be found here. 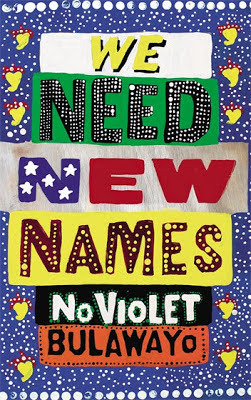 I haven't had a chance to read We Need New Names yet, but a synopsis can be found here. Leave a comment either on this post OR on the Facebook update for this post saying either "Love is Power" or "We Need New Names" for the book you would prefer. You can also simply just like the Facebook update. The giveaway is open until July 14th. The winner will be announced on July 15th. If it applies to folks outside your country of residence or continent, then We Need New Names. No country or continent restriction. As long as there's a way for me to send the book to whoever wins wherever they may be. Thanks for commenting :). Giveaway officially ended yesterday and I will announce the lucky winners here and on the facebook page before the day ends.